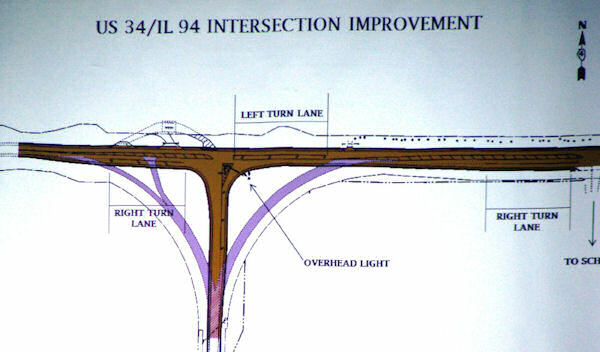 In a recent HWY 34 update, State Representative Rich Myers (above) and IDOT Engineer Tom Lacy (District 4-Peoria) explain that 4-Lane Construction Plan Preparation is funded from Gulfport to Monmouth. 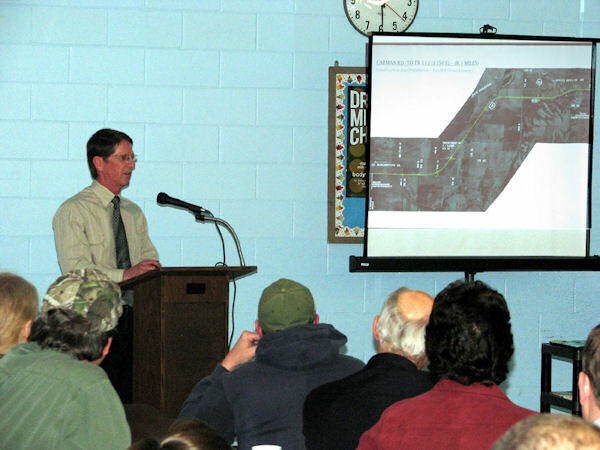 However, out of the 4 sections left of the $400 million dollar project, only one section is fully funded which includes utility adjustments, land acquisition, construction engineering and actual construction, and that is the 8.1 miles from the Carman Road to TR 111 at a cost of $65.5 million. That is without the Carman Road Interchange which is still unfunded. 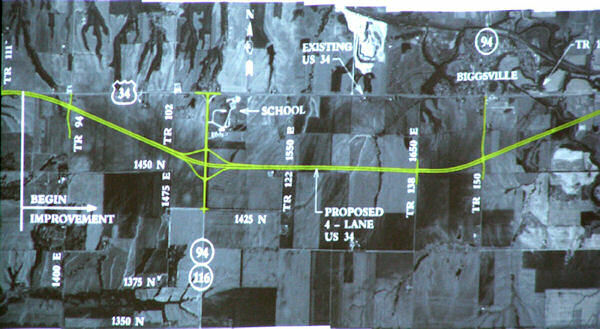 Lacy said this section of 8.1 miles was "kind of in a holding pattern" and construction is set for Fiscal Year 2012. He said the reason for the hold-up is the decertification of the levee by the Army Corps of Engineers last year after the Flood of 2008. He said officials are doing an analysis of raising the road approximately 15 feet to 100 foot flood levee. The report was expected to be completed last week and should be on its way to the Federal government for a decision on how to proceed. 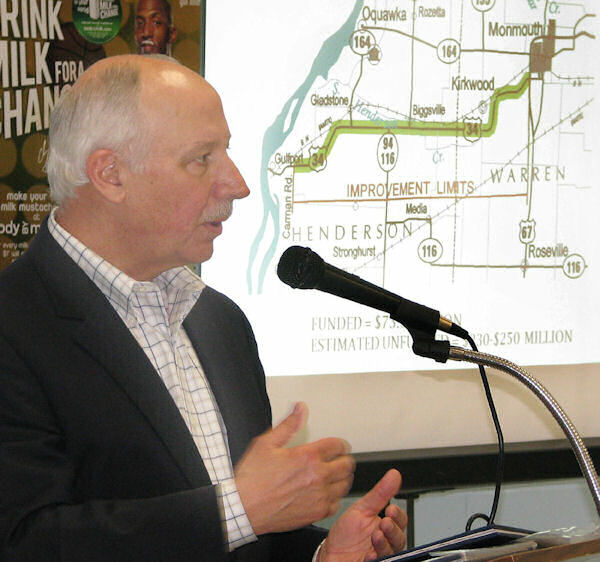 The issue has to be resolved before 4-lane construction can begin, Lacy said. The funding came from the state's recent Capital Bill. The cost for the 15 remaining miles is about $230-250 million.